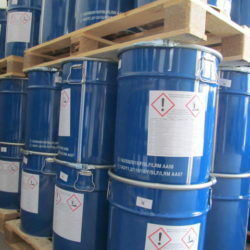 NOVARINA PRODUCES ANTIMONY POTASSIUM TARTRATE AND POTASSIUM SODIUM TARTRATE. Novarina is the oldest Italian factory producing tartaric salts, its origins go way back to the second half of the XIX century. The experience and tradition we have accrued in this sector and with the help of modern technology assure our products rank amongst the best available. We started operating in 1884 under the company name of NOVARINA AGOSTINO, in honor of our founder, we had our main facility in Bricherasio (TO). During those early years, the main activities of the firm were the distillation of vinasse and the production of cream of tartar, we were also very much involved with the supply of all things used in the local production of wine. Today, Novarina s.r.l. 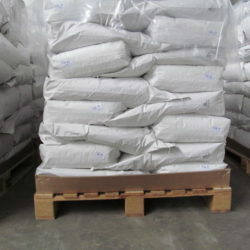 is still a family run and maintained business, although we have moved to bigger facilities in the nearby town of Bibiana, we have also focused our efforts on those products that most met the modern market needs and we now specialise in the production of tartaric salts. This strategy has helped us gain a position of esteem not just across Europe, but Worldwide. Novarina SRL Via Pinerolo 35 10060 Bibiana (TO) C.F. e P.I. Nr 00527510010 R.E.A. Nr 213704 Capitale Sociale: 15600 i.v.